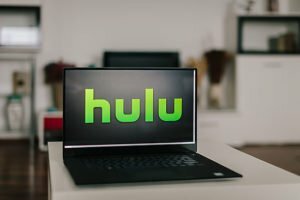 What Is the Hulu Stock Symbol? Subject: What Is the Hulu Stock Symbol? four − = 2 Required Please enter the correct value. There isn't a Hulu stock symbol yet, but things are changing for the company. That means an IPO could be coming soon. Hulu had considered an IPO in 2010, but Wall Street questioned the company's business model, according to Fortune. They were right to do so, as Hulu originally allowed users to watch shows for free and only generated money through ads. To avoid a potentially disastrous IPO, Hulu decided to stay private. Hulu now has an all-subscription model, which starts at $7.99 per month. For $39.99 a month, users can access Hulu's streaming library and live television. In 2010, Hulu brought in just $265 million in revenue. Thanks to its new model, revenue climbed a staggering 805% to $2.4 billion in 2017, according to Stastia.com. Unfortunately, you still can't invest in Hulu, because it's a private company. However, through extensive research, we uncovered an investment opportunity that will allow you to profit from companies that provide streaming services and the tech to power them. The stock price of the investment we're about to mention climbed 40.12% in the last 12 months. In comparison, the Dow Jones Industrial Average has only climbed 17.82%. Good stuff so far. Looking forward to what is coming next.